Creating emotional connections with your brand is an essential part of many organizations marketing plans. Selecting brand ambassadors can be a powerful strategy but there are risks to getting it right. 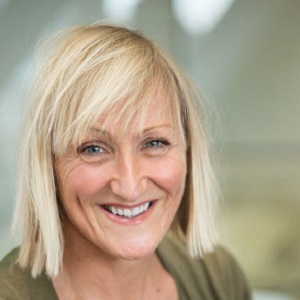 Jane Hansom is a marketeer with over 25 years experience of creating integrated global brand marketing campaigns across media channels from TV and print to digital and social media. She set up Sponge Marketing in 2005 to focus on delivering creative marketing, PR and brand entertainment experiences to the sport, travel and entertainment industry. Jane is also an athlete herself having medalled in World Championship events for Great Britain. Jane also sits on the board of the Triathlon Industry Association and advises government sporting bodies like London Sport on how to increase participation in sport. I will be discussing with Jane how to effectively recruit a successful brand ambassador as well as lessons from her considerable sporting and business achievements. Jane Hansom is a marketeer with over 25 years experience in creating integrated global brand marketing campaigns across media channels from TV & print to digital & social media. As an ex board director of global marketing agency 141, Jane executed campaigns for FMCG brands like Mumm Champagne, Courvoisier, Laphroaig & Sony PlayStation before leaving to set up Sponge Marketing in 2005 to focus on delivering creative marketing, PR & brand entertainment experiences to the sport, travel & entertainment industry. Current clients include Brooks Running, Odlo, Unit Nutrition, Digme Fitness, Barbados Tourism Board, Challenge Family, The Nevis Tourism Authority, Cervelo & Zone3. Jane is a keen amateur triathlete & has medalled for the Great Britain Age Group team in various World Championship Events from Sprint to Olympic distance. Jane sits on the board of the Triathlon Industry Association & advises government sporting bodies like London Sport on how to increase participation in sport.